Ahhh…. to just take a break from it all…. I came across this photo on Pinterest (of course) cleverly titled ‘Sail Away’. As soon as I saw it I found myself wanting to jump out of my desk chair, through the computer screen, and plop down right beside my new friend there. We’d enjoy the ocean breezes, warm sun, and work on our tans. Seriously, I’m ready for a full-on Mary Poppins experience with this one. Okay enough about that. 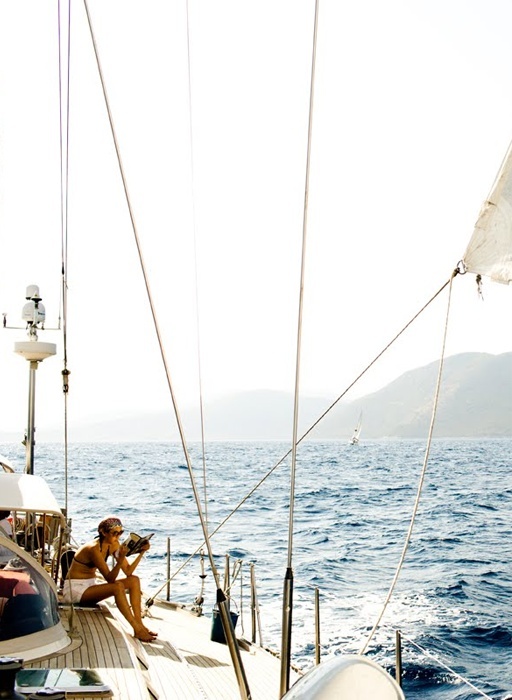 My point is that I found this picture to be so inspiring, it made me think of the ocean (one thing this California girl misses dearly), sailing (which I have never done in my life), and design (no surprise there!). What do all of those things add up to? 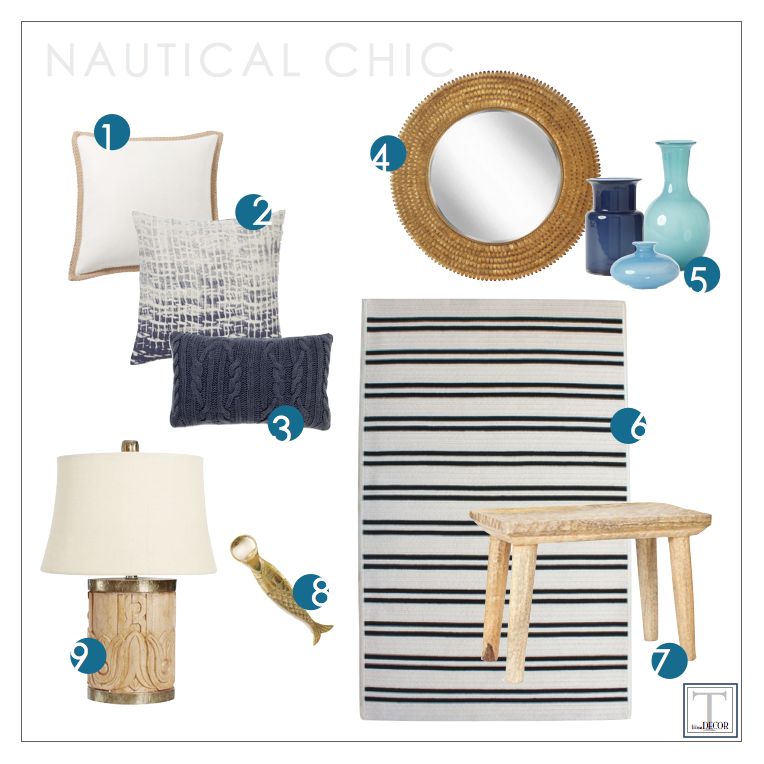 Nautical style, of course! But I’m thinking more effortlessly-chic nautical as opposed to preppy-nautical (…kind of more Greek Isles and less New England coastal).